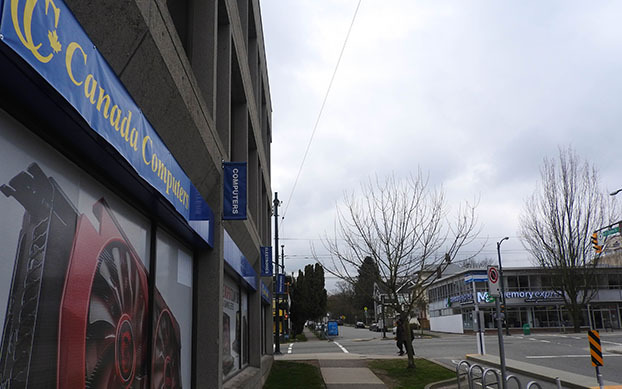 Electronics retailer Canada Computers sits in a spot occupied for years by the bankrupt NCIX, directly across from competitor Memory Express. 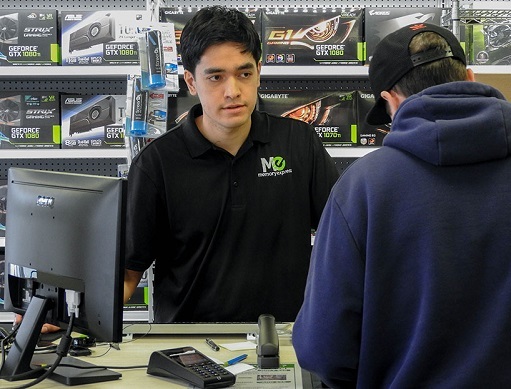 Four months after a renowned Vancouver electronics retailer filed for bankruptcy, competitors have been quick to set up shop and capitalize on what they see as a golden opportunity. NCIX, officially known as Netlink Computer Inc., declared bankruptcy in December of last year after more than 20 years of operation. The company had quickly grown from a few local stores in the early 2000’s to more than a dozen across B.C. and Ontario before it started to fold and transferred its B.C. leases to Ontario-based Canada Computers. Canada Computers is now operating in three of the B.C. locations formerly occupied by NCIX, with plans for a fourth and fifth by the end of the year. Not to be outdone, Alberta’s Memory Express has opened three new stores to complement its flagship store in Richmond, including one directly across from Canada Computers on the corner of West Broadway and Cypress Street. Industry experts are unsure whether the demise of NCIX resulted from executive mismanagement, or if it reflected an industry shift favoring online-only retailers. Competitors are hedging their bets on the former, and are capitalizing on customers checking out their new storefronts. “[The expansion] has been good so far, and we’re also looking to move into Ontario soon,” said Lucky Ogbeide, general manager of Memory Express’s Broadway location. Since the bankruptcy of NCIX, Memory Express has seen more orders for products online and increased foot traffic in all locations, he said. Ogbeide believes their competitor’s bankruptcy was a case of retail expansion gone wrong and falling customer service, and is confident that there is still room in the industry for retail storefronts done right. However, temporary sales boosts and opportunity don’t equate to long term success, warns former NCIX employee Charlie Shi. Salesperson Adam Cummings assists a customer at Memory Express on Broadway. According to Shi, NCIX was ill-advised to focus on traditional retail over online growth and on sales of individual computer parts over complete systems. Instead, he thinks the company should have recognized more consumers, especially “millennial gamers with relatively high disposable incomes,” are opting to buy fully built systems. NCIX was once a strong example of a company that excelled at retail and online simultaneously. High quality products and stock availability were the initial draws for many long-time customers like Chris Lam. Chris Lam is unsure if he’ll continue to shop for computers in-person without NCIX. “At NCIX, the whole experience of buying was good at the time,” said Lam, a freelance videographer. Lam has been working with computers and building them since high school, and always looks for the same things when buying parts: brand reputation, shipping constraints, stock availability, and cost. NCIX ticked all the boxes, and now, the thought of turning to competitors is daunting. “I bought a motherboard from a competitor one time. It took them a month to ship it over, and when it came it was defective, and sending it back took them another month,” said Lam. 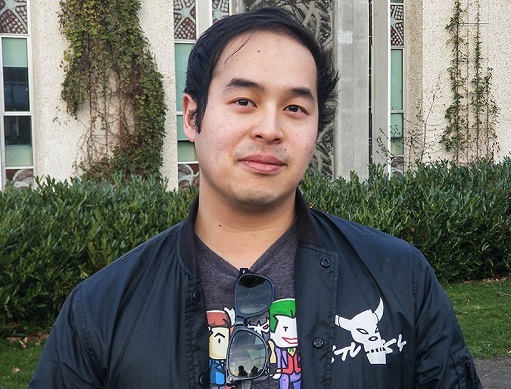 As he’s improved his computer building skills and knowledge, Lam said he’s been doing more of his shopping online, but he’s still extremely supportive of dedicated storefronts. Consumers like Lam recommended NCIX for their knowledge and large inventory. By 2017, however, high staff turnover and low stock availability were signs of problems plaguing the retailer, Lam said. Halfway through the year, walking into a store was a completely different experience. Lam is worried the expansion drive of stores like Memory Express and Canada Computers will eventually lead to a similar drop in sustainable quality and stock. But Ogbeide is confident that Memory Express is staying ahead of the curve. He said that they are working towards one-day delivery within Metro Vancouver to compete with online retailers.